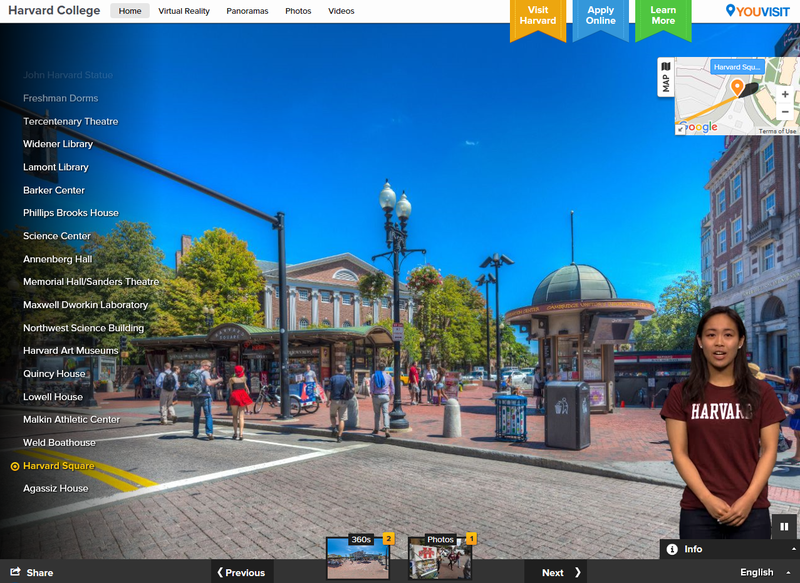 Universities in the US recently mailed out their acceptance letters and now it’s time for prospective students to choose. 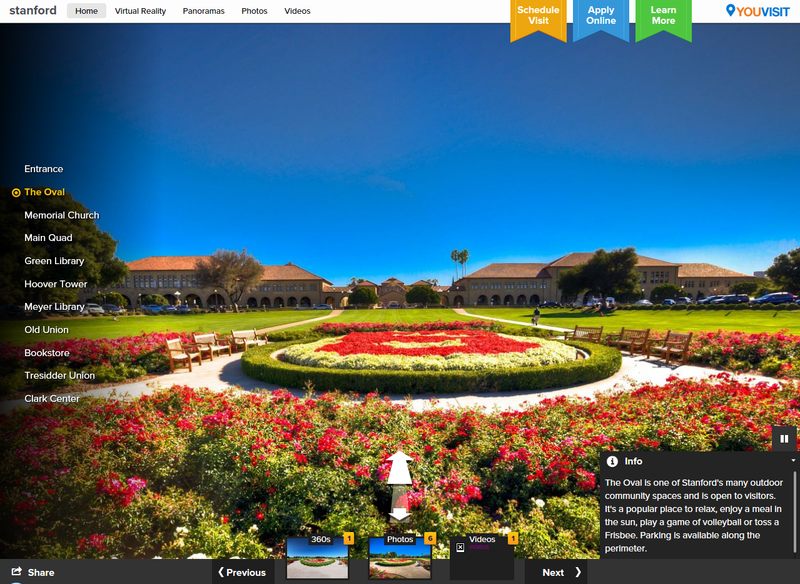 One way universities are enticing students is through virtual tours using 360-degree photos and videos. 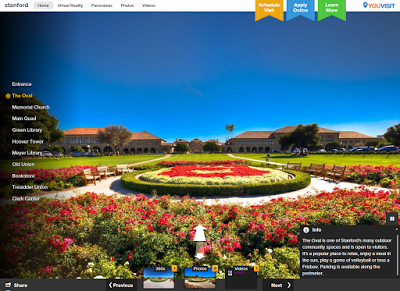 Students can take virtual tours of over 1,000 universities and colleges from around the world on YouVisit.com, which began in 2009 as a site for hosting virtual tours of universities but has since expanded to other categories such as travel, hospitality, and real estate. 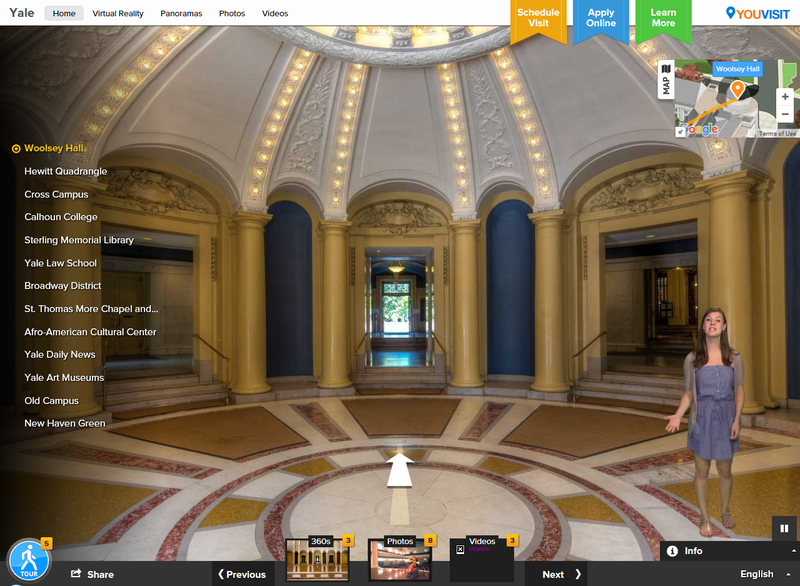 Now you can experience the YouVisit tours in virtual reality. YouVisit added support for a virtual reality view via Oculus Rift, and on smart devices through Google Cardboard on the Youvisit VR app (a separate app from Youvisit).